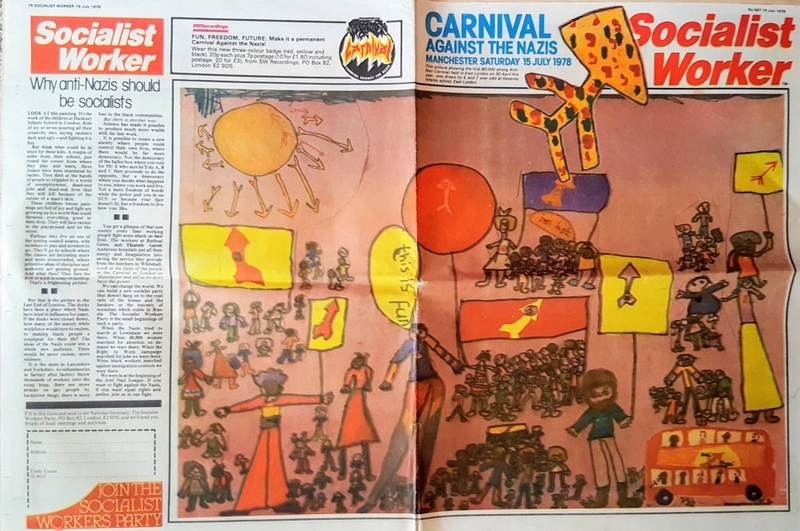 An advert in the Socialist Worker for the Northern Carnival Against the Nazis, 1978. Unlike today, when a large event would have one professionally designed graphic to promote it across all platforms, the Carnival had a number of very different looking adverts, posters, brochures etc. Special thanks to our funders Heritage Lottery Fund and Futura. Thanks also to all our wonderful volunteers.